This 45-minute tutorial movie is ideal for stills photographers who want to understand how to capture high quality movies using their interchangeable lens camera. 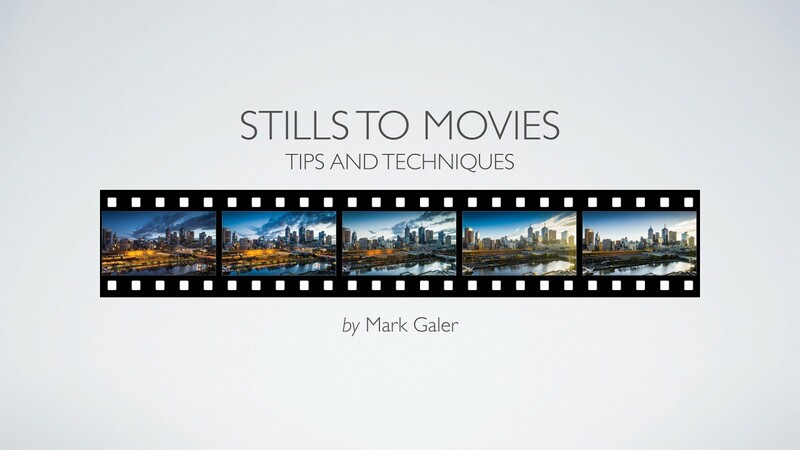 It covers the best settings to use, unpacks the jargon and acronyms associated with movie capture and introduces the extra hardware and software that can be useful when making movies. https://youtu.be/TNNqUm_nSXk* (adjusting the Picture/Creative Style camera settings – Picture profiles are preferred if your camera supports them. Note > When Sony introduced Picture Profiles to its Sony Alpha and RX cameras it provided professional movie making tools to its entry level, prosumer and professional stills cameras. Instead of using the Creative Styles to adjust contrast, saturation and sharpness we were now provided with the professional tools to optimise our movies in-camera, S-Log2 is one of the most ‘useful’ profiles but it needs a little skill to use it appropriately. I have created a blog post for Sony Alpha users so that you can obtain a quick overview of how to use the Picture Profiles to leverage the best IQ from your movie clips. One of the creative tasks during my one-on-one training sessions and workshops can be how to create professional looking movie clips using Sony Mirrorless cameras. This entry was posted in Capture, Learn, Movies, Tips and Techniques and tagged beginner, capture, filiming, guide, introduction, movies, techniques, tips, transition. Who Switched the Lights out!